Working together, our continued focus is on creating innovative services. Collaboration between VATGlobal and its Business Partners provides customers with world class services and solutions. BQool Inc is a SaaS company founded on the idea that Amazon sellers should always have access to the most innovative software solutions. BQool is committed to simplifying day to day tasks that all Amazon sellers face, be it dynamic repricing, competitor research, feedback and reviews management or discovering the most profitable products to sell. 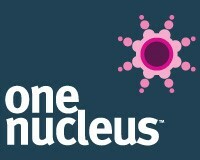 One Nucleus is an award winning not-for-profit Life Sciences & Healthcare membership organisation that seeks to enable members to maximise their performance. Biomedical and Healthcare R&D have always been impactful in driving social and economic progress. A2X is a cloud software service that connects Amazon marketplaces to accounting systems such as Xero and QuickBooks Online. It makes it easy for Amazon merchants to account accurately and reliably for their Amazon sales, saving them and their accountants hours or days of time every month. Currencies Direct were one of the first foreign exchange providers to offer segregated Collection Accounts for international sellers. Their online service is one of the best in the business, including additional benefits like automated transfers and Rate Alerts. Payoneer is an online payment solution that enables online sellers to grow their business globally by providing them with the ability to collect their earnings from top e-commerce marketplaces, pay their suppliers, settle their VAT obligations & more. Coureon is a digital logistics carrier for international shipping. It's a new way to ship abroad. Everyone can start shipping to over 200 countries at discounted rates in no time. Our technology enables seamless cross-border shipping by combining local delivery services, linehaulers, cargo airlines and 3PL providers worldwide into a single network. Our mission is to provide excellent expertise for tech companies and projects. DK Fulfilment are a Third Party Logistic Fulfilment Provider with faciities at the hub of the UK’s and Germany motorway networks. Our modern, secure warehouses in Coventry and Neuwied are run by teams offering quality Warehousing and Order Fulfilment services with the experience you need to keep your customers satisfied. Selling overseas? Bring home your money with OFX and save up to 75% in foreign transaction fees & margins. The OFX Online Seller solution gives you a local currency account in USD, GBP, HKD, EUR, CAD, NZD or AUD and even lets you send payments to suppliers. The Global Retail Insights Network (GRIN) is a not-for-profit membership community committed to helping ecommerce players achieve greatness globally. Our mission is to help cross-border retailers and vendor partners lead and innovate through knowledge and collaboration. The GRIN was started in 2012 and currently has over 1,000 members across 53 countries. Fulfillment.com helps you reduce operating costs, lower overhead, and grow your business domestically and internationally. Our logistics infrastructure, high volume postage discounts, and proprietary technology make Fulfillment.com the clear choice for your warehousing and fulfillment needs. Let us handle your logistics, so you can focus on your business. Judolaunch is a product launch platform for brands active in the EU Amazon marketplaces. Our launch campaigns have taken countless new products from 0 sales/day to 20+ sales/day, and countless established products from 20+ sales/day to 70+ sales/day in the Germany, UK, France, Italy, and Spain Amazon marketplaces. VATGlobal is collaborating with the eCommerce Innovation Lab (EIL) to help train its staff and guide its clients.